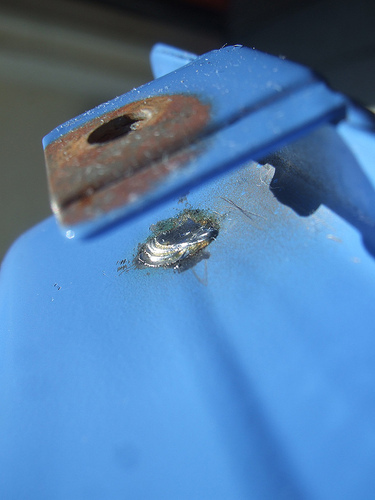 After taking it home I found that there is a hole in the fuel tank, and i was able to repair it with some solder. I also bought some parts online and end up spending about $40. DC charging cable, Air Filter element, some screws, spark plug and motor oil. 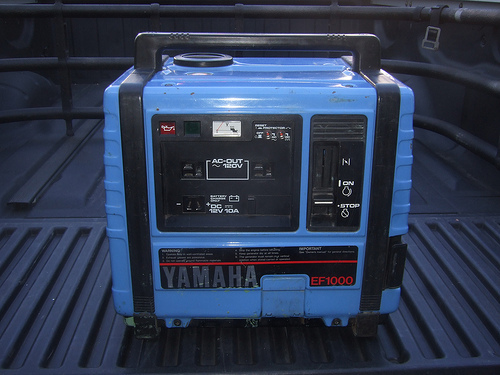 I bought this generator thinking that I would use it at a camping trip in Pismo. I never used it so I sold it on craigslist for $260. 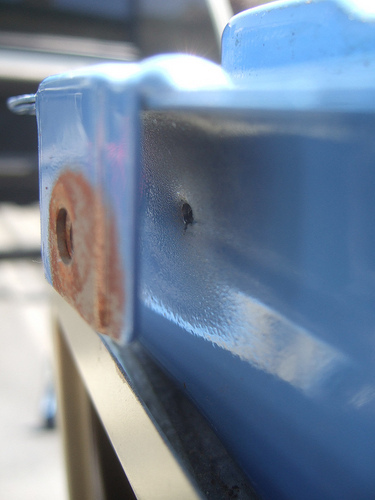 Here is a picture of the hole in the fuel tank. Someone used a screw that was too long and punctured a hole in the fuel tank. I was told that I could use solder to repair the hole and that is what I did.